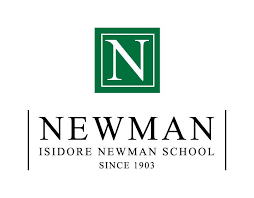 You and your students are cordially invited to attend the 40th Newman Invitational. We provide a unique and diverse competitive experience. Last year, we attracted over 60 schools from 10 different states. Join us this year for a wonderful celebration of 40 years of forensics excellence on our campus. We are pleased to announce that we are a qualifying tournament for UK's TOC in ten events. In the designated events (listed below), students advancing to bid rounds of this tournament will earn one official bid for the 2019 National Tournament of Champions hosted by the University of Kentucky in Lexington, KY, on April 27-29, 2019. We plan to offer 6 preliminary rounds of debate in novice and varsity divisions of Policy, LD, and PF. We plan to offer 4 preliminary rounds of World Schools Debate. We also offer 2 three-hour preliminary sessions in Congress. Please be aware that elims in some of the debate events will carry over to Sunday except for Congress, which will have its final session on Saturday. Additionally, we offer 4 preliminary rounds in all speech events; however, we will not be able to allow cross-entry between debate and speech events. Speech competitors can enter up to 3 events within the speech category but no triple entry within a pattern. All speech events will conclude on Saturday with an awards program on Saturday night. Congress results will be announced at the speech awards ceremony. NEW in 2018: We will offer a novice division of PF. We reserve the right to collapse the two divisions if entries warrant. We will offer an open division of World Schools debate, where schools may enter five-person teams (where three people from the team compete in each round), using the international format in which the USA Debate Team participates. We will tabulate all events on tabroom.com. All postings will be available online and emails/texts will be blasted for those that sign up for that service. For Policy, LD, PF, and WS, ballots will be completed online. All judges in those events must have a linked tabroom.com account and must bring devices with them to complete online ballots. Laptops and tablets work much better than smart phones. Judges in congress and speech events will be completing paper ballots (both master and individual critiques). To receive messages from the tab room, all judges in congress and speech events will need to have a linked tabroom.com account.